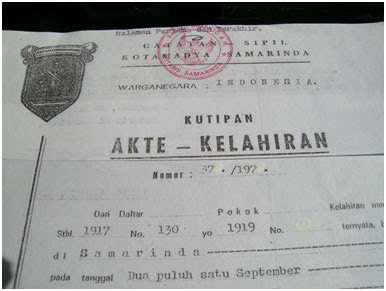 This recent article, 'Indonesia: Pengendum Tampung, "We don’t have birth certificates. You can’t do much without one", reinforces the point... while speaking of the many problems faced by his people - the indigenous "people of the forest" (Orang Rimba) in Indonesia - Pengedum Tampung says "... Orang Rimba don’t have birth certificates. You can’t do much in the outside world without one. You can’t vote or buy a motorbike or mobile phone. You can’t go to a regular school either..."